Even the mother of the Miami Marlins’ new manager is questioning the wisdom of the choice. Marlins general manager Dan Jennings was selected Monday to replace Spokane native Mike Redmond in the dugout. Jennings has 31 years of experience in professional baseball, but he never played in the majors and has never managed. Redmond was fired one-quarter of the way into his third season Sunday after the Marlins were nearly no-hit in a 6-0 loss to Atlanta. The defeat dropped Miami to 16-22, but team president David Samson said a change had been in the works since the Marlins started 3-11. The shake-up was the latest orchestrated by owner Jeffrey Loria, reinforcing his reputation for impatience. 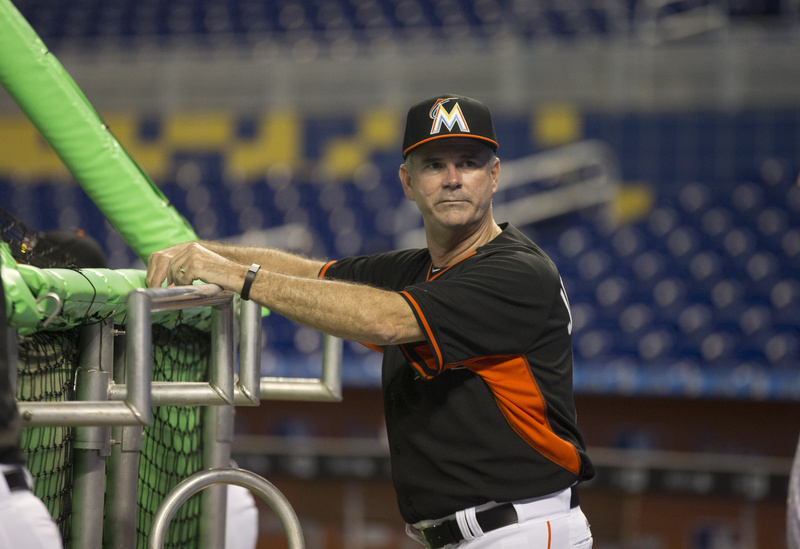 Jennings is Loria’s sixth manager since June 2010. Well-traveled pitcher Bruce Chen has announced his retirement after 17 seasons in the major leagues. Chen broke into the majors in 1998 with Atlanta and also pitched for Philadelphia, the New York Mets, Montreal, Cincinnati, Houston, Boston, Baltimore, Texas and Kansas City.